Ahh, a fresh slate. 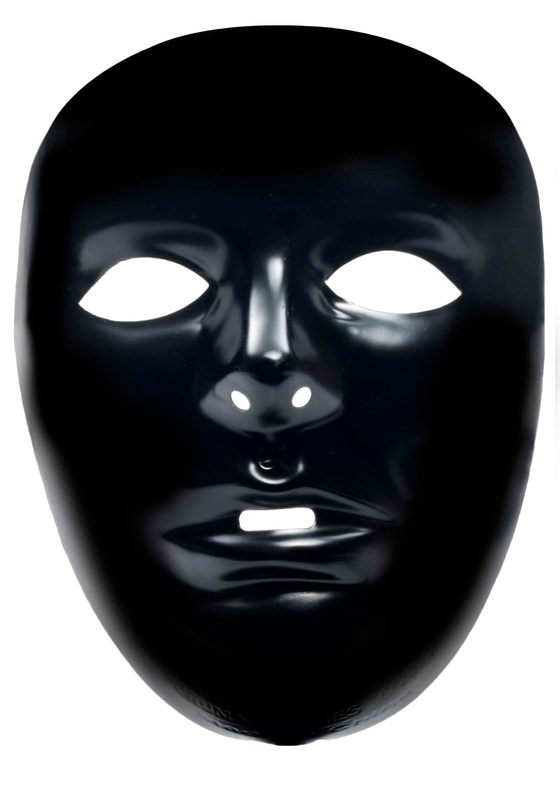 This smooth black plastic mask is just waiting for you to take control of its destiny. How good does that feel? It almost reminds you that life is full of possibilities, just begging for your brilliant and creative ideas. What can you do with this mask? It's really up to you. Paint it. Glue some craft supplies on it. You could even leave it blank for the minimalist effect. The whole world of Pinterest is at your fingertips. With all those ideas out there, you should probably get more than one of these. Masked events are good ways to hide your face but show what you've got in that noggin of yours, especially when you've decorated your own mask. Maybe you've gone the sparkly route, maybe you've done something truly avant-garde. We've got ideas but we're not going to interrupt your stream of creativity, we know you're brilliant. Just remember to have fun with it. Oh, and send us a picture of your creation, just for fun. We're totally not going to steal your brilliant ideas, we would never dream of it. . .
Could be a good mask but I didn’t receive it in my order so I will never know. I only wanted it so I could reach the price to get free shipping. Hello and thank you for your input on the your order. I do apologize the mask was missing from the order. In looking at your order information, it seems that you did not reach out to us for help in resolving the missing mask. For future reference, please contact our customer service department for any issues you might have. We are very customer friendly and available to attempt to resolve any questions/concerns. I will reach out to you privately through your e-mail address on file to further resolve the mask issue with you. Thank you.